HEYROCCO came, saw and conquered on their first trip to the UK! 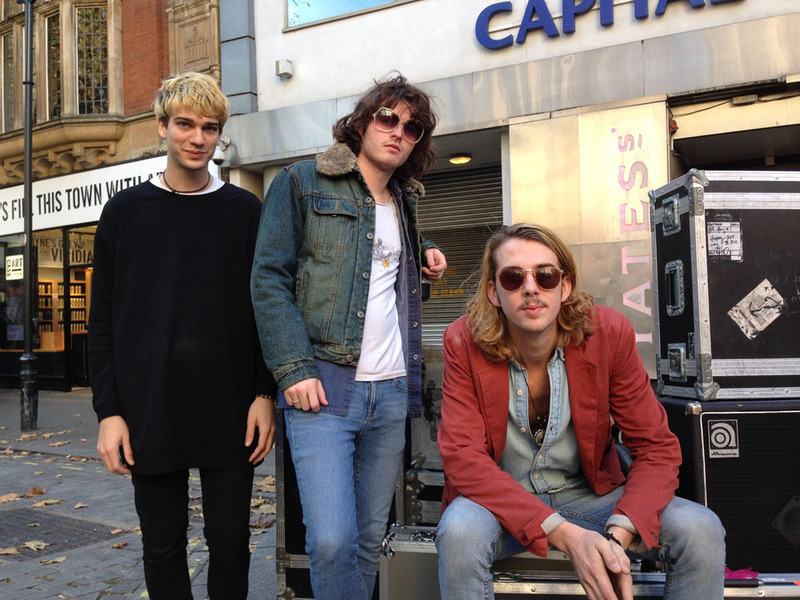 Not only did they play to a packed KOKO in London at the start of their debut tour – a tour that saw them playing to more sold-out venues around the UK – but they rounded it off with a return to the capital, and a session for the premier new music show on Xfm. The session will be broadcast on 4th November 2014! Looking every inch the rock stars that they look set to become, the HEYROCCO arrived for their Xfm X-posure session excited to meet key DJ John Kennedy, and as expected, they delivered a fabulous session. John, who’s always a reliable musical weathervane of new talent, was hugely complimentary and supportive. We can’t wait to hear the session when it’s broadcast on 4th November! 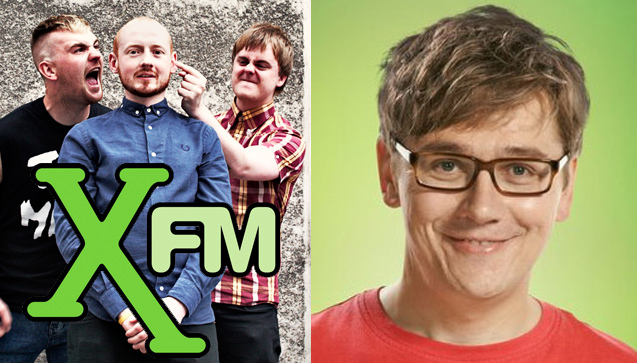 Xfm new music champion John Kennedy loved YOU from the first time he heard their cracking debut single, In Halves. He has become a true champion of the band – making them the X-posure big One, inviting them to play his club night in London, and to cap it all, he has just asked YOU to perform a live session on his Xfm show! They didn’t let him down – it’s a cracking session – and the band even picked some tunes for John’s playlist live on the air! THE CORDELS were Clint Boon’s ‘Record of the week’ last week on Xfm and will be in session this Sunday [23 August] on Pete Mitchell’s ‘Razor Cuts’ show between 6 and 8pm. 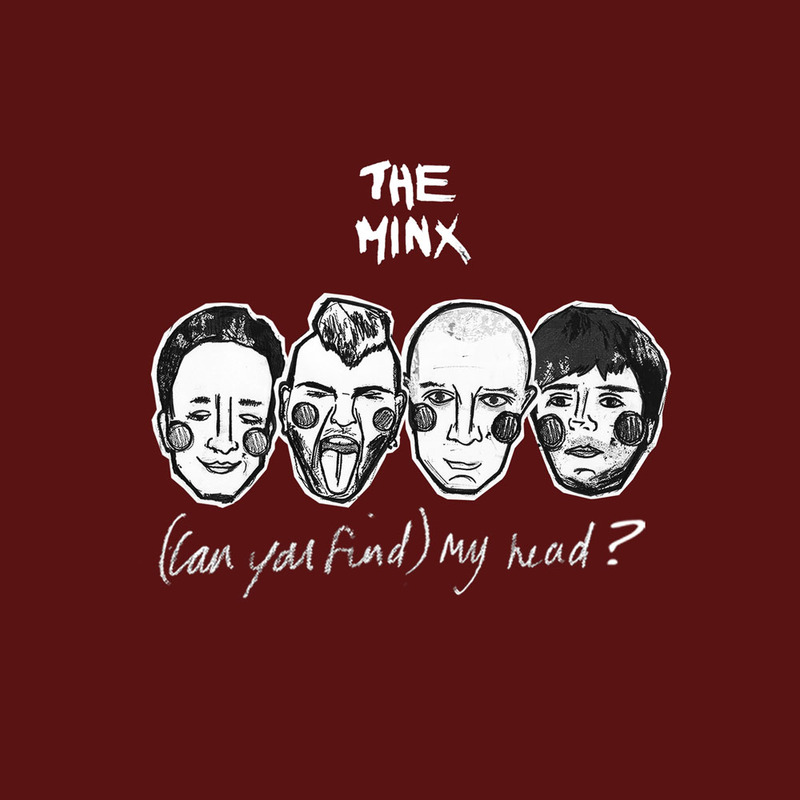 Xfm’s Jon Hillcock’s influential ‘New Noise’ also played the single on his tastemaker show on Sunday and Steve Lamacq gave the single a play on his BBC Radio 1 show. Absolute Extreme added them to their cool playlist and support around the UK from specialist taste makers – it’s a great start for an unsigned band doing it for themselves. THE VANGUARDS – Their Razor Cuts session on Xfm didn’t get aired last week due to studio technical problems but fortunately it will definitely go out this week [6pm-8pm, Sunday 23 August]. The Vanguards’ single ‘Regress’ has also been added to NME Radio’s ‘spot play’ playlist. TEAM WATERPOLO – Last week the guys were Record of the week on Xfm Manchester’s breakfast show with Pete Mitchell, this week they are drive-times ROW with Clint Boon. On Saturday [15 August] the guys found themselves playing in front of thousands of people at Rock FM’s ‘Rock in the Park’ alongside Tinchy Stryder, VV Brown and Peter Andre no less! MY ALBATROSS – This debut is released on 14 September and is already receiving a fantastic reaction from National and Regional specialist radio. They’re currently back at Sandhill Studio recording the follow up to Live and Live Lonely. COSMO JARVIS – Watch out for this 19 year old, it’s early days but we think you’re going to hear an awful lot more about Cosmo. His next single ‘Jessica Alba’s number’ should see him getting a lot of attention. SAVING AIMEE – Their next single ‘Fresh since 88’ is pencilled in for Sunday 12 October and their album for 19 October just before their support slot with Fightstar. THE VALENTINES – Their single ‘You Make Me Me’ is confirmed for a 21 September release and already picking up some good plays. More news on the duo soon! THE CORDELS have secured their place on the Xfm playlist. That means the single Dance In Time will be heard across the entire Xfm network in the UK and around the world on the Xfm website. And that’s not all! Dance In Time is also record of the week on Clint Boon’s drive-time show this week on Xfm Manchester. Clint’s show goes out 3pm-7pm on http://www.xfm.co.uk. SAVING AIMEE have just been confirmed as main support for the Fightstar tour in October. And that means we’ll be extra busy plugging the band’s debut album, We’re The Good Guys. TEAM WATERPOLO‘s Letting Go has been chosen as Pete Mitchell’s record of the week on Xfm Manchester. The guys have also just been asked to play Rock FM’s ‘Rock in the Park’ on 15 August so catch them there if you can. 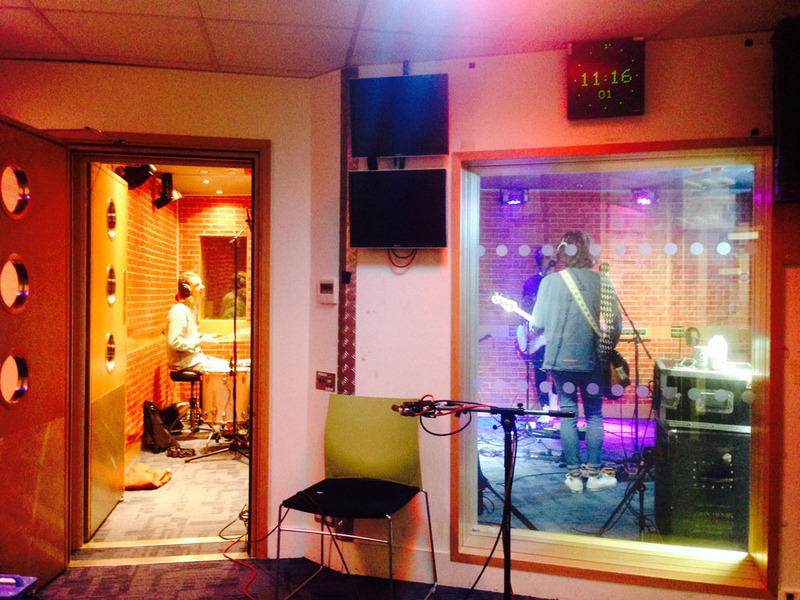 THE TRAVELLING BAND‘s version of The Stone Roses’ Waterfall is playlisted at BBC Radio London. Great timing as it’s the 20th anniversary of The Stone Roses debut album being released. 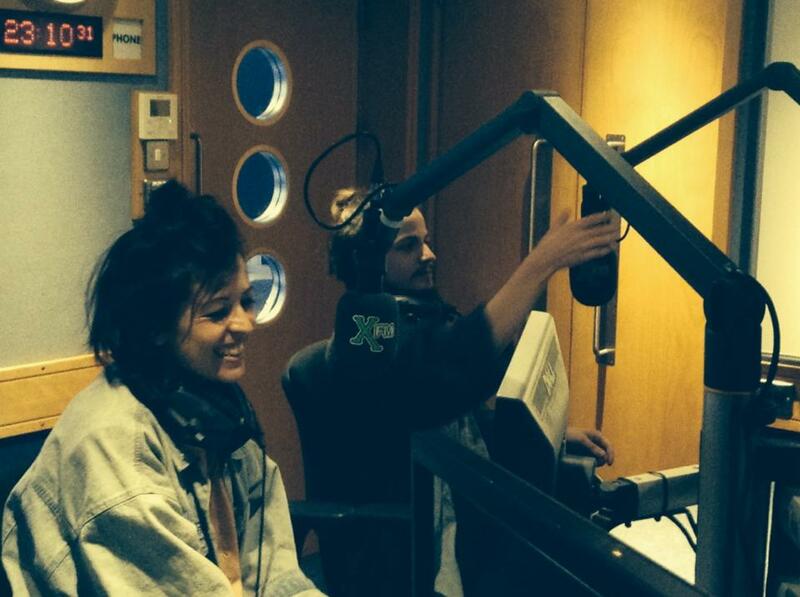 THE VANGUARDS are booked in to do a session on Pete Michell’s network Xfm show, Razor Cuts, on Sunday 16 August. This comes hot on the heels of their Radcliffe & Maconie record of the week spot for BBC Radio 2. We are hugely excited to be working with an incredibly talented young man who goes by the name of COSMO JARVIS. You can listen on our Soundcloud page and we’ll be posting much more about him very soon!